Give the gift of local goodness! We have three gifting options: An E-Blisscard, where the gift is sent immediately via e-mail, a physical Blisscard (find those here), or choose a subscription plan and check off "This Is A Gift" at check-out so that it doesn't renew. 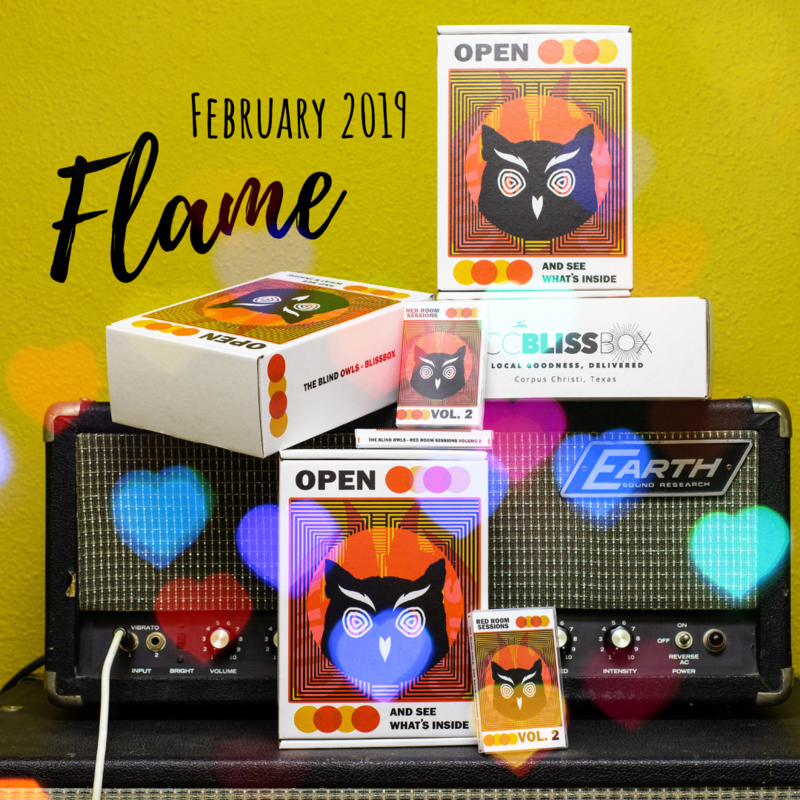 The February Blissbox was designed by local band The Blind Owls and includes a matching cassette tape (don’t worry - if you are not tech savvy enough to own a tape player, it also comes with a free download code). Expect a Blissbox with everything needed to brew a lovely cup of tea, freshen up that pucker, and then some! $1 from each of the February Blissboxes will be donated to the Aurora Arts Theatre.